Whisk two eggs and buttermilk in a bowl. Soak each slice of toast in egg mixture until well coated and a little soggy. 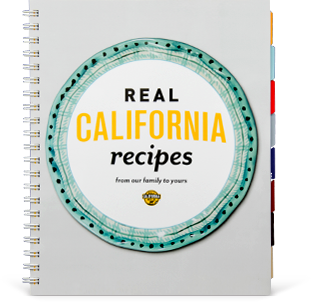 Cook toast in a frying pan with melted butter until browned on both sides and set aside. Add remaining egg and cook sunny side up. 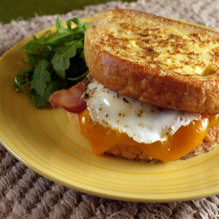 Assemble breakfast sandwich with Cheddar slices topped by bacon and then egg between the two slices of toast. Serve with arugula salad.